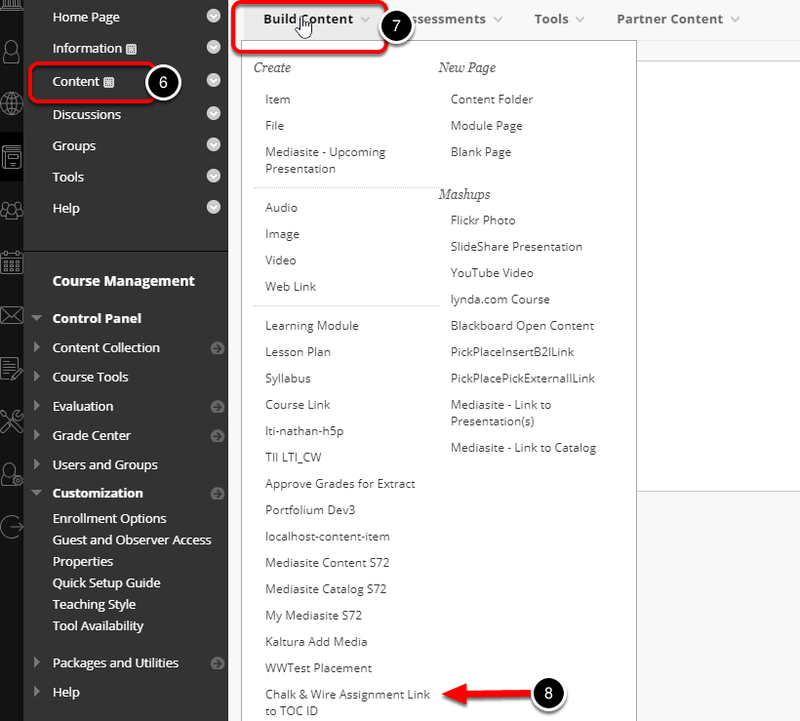 Once the first two steps have been completed, Assessors will be able to add the assignment link to their course in Blackboard. 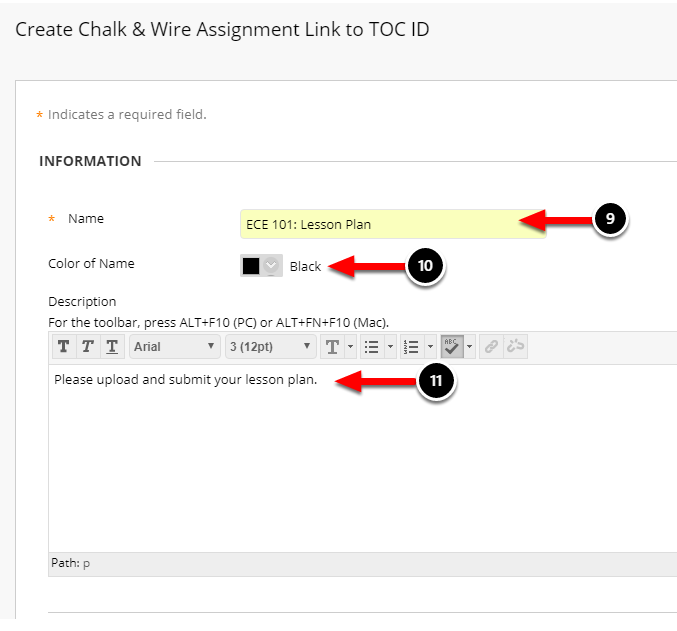 Once the assignment has been added, Blackboard users will be able to use it to link to Chalk & Wire to complete their work. 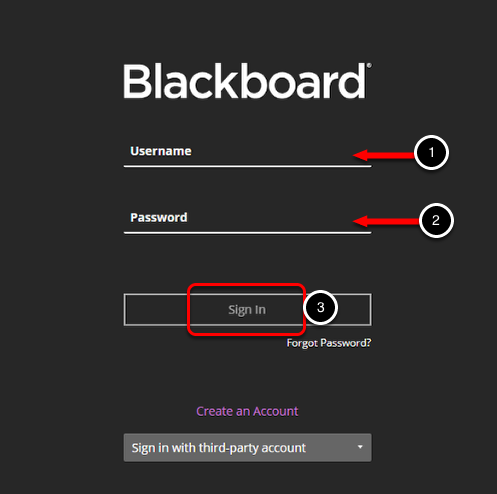 Before you can begin, you must log in to your Blackboard assessor account. 4. Click on the Courses selection from the activity stream menu at the left of your screen. 5. Select the appropriate course from the Course List. 6. Click on the Content option in the left-side panel. 7. On the Content screen, click on the Build Content drop-down menu. 8. Select the appropriate assessment/tool from the menu. If you are not certain of which assessment/tool you should select, please contact your local Chalk & Wire Administrator. 9. Enter a Name for the Assignment Link. 10. Optionally select a Color for the name. 11. 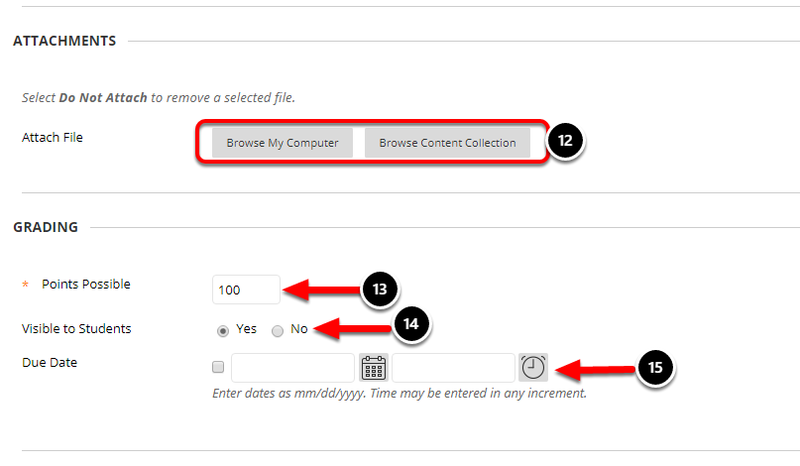 Optionally enter a Description for the link. NOTE: If you enter a description, please ensure that it only contains ONE line of text. If you have any page breaks (i.e. a second line of text) the link will not function. 12. Optionally attach a file to the assignment link. NOTE: Files will not be visible in Chalk & Wire. If you would like files accesible to students, please request that your Local Chalk & Wire Administrator add them to the appropriate table of contents. 13. Enter 100 as your Points Possible. 14. Select whether or not the evaluation will be visible to learners. 15. Optionally enter a Due Date and Time. 16. Select whether or not you would like to Permit Users to View this Content. 17. Select whether or not you would like to Track Number of Views. 18. Optionally enter Display After and Display Until dates. 20. Select the Assignment Link that you've just created. 21. 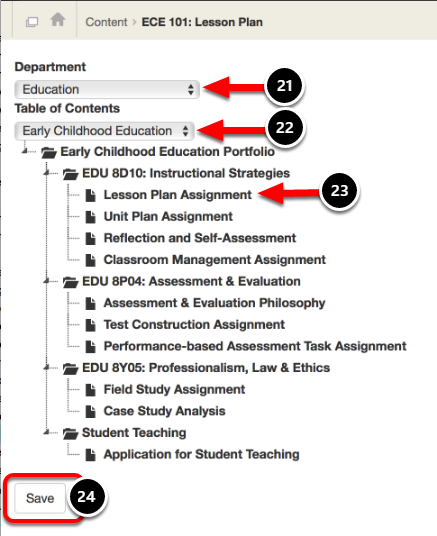 Select the Department that contains the table of contents to populate the next drop-down menu. 22. Select the Table of Contents or Assignment from the drop-down menu. 23. If you are linked to a Table of Contents, select the Table of Contents Section that corresponds to the Assignment Link that you've created.